Combawa (Kaffir Lime) Custard Mousse, Crêpe Dentelle and Raspberry Balsamic Coulis. Ah le Combawa. How it happens that we only just found each other, I just don’t know, but this exotic ingredient known in English as “Kaffir Lime”- is becoming the star of the show in French patisserie from gourmet desserts to chocolates and macarons. This is one of the things I just love about modern French gastronomy- the flavour pairings are exotic and surprising. Take an Asian lemon-grassy lime citrus, the fruit of which is often disregarded for being overpowering and acidic, then masterfully match the aromatic qualities of it’s zest with the delicate flair of French patisserie and what do you get? A delicious… love child. A really good-looking… Eurasian one. I first really discovered the combawa when I recently had the fortune of meeting and interviewing Mr Hughes Pouget – a visionary and talented award winning pâtissier and co-founder of Hugo et Victor, Paris Haute Patisserie concept stores take gourmet patisserie and l’art du chocolat to a whole new level. Hugo et Victors ‘Seasons’ concept is a real hit and it makes so much sense. They alternate their best-seller classics with seasonally introduced flavours across a palette of delicacies from chocolate through to patisserie and even give wine matching recommendations to complete your experience. And as for the Combawa, Hugo et victor now have their own private plantation on the French Riviera to ensure a stable, non-imported, and top quality supply of this exotic fruit normally only gown in the southeast again region. Image Supplied. 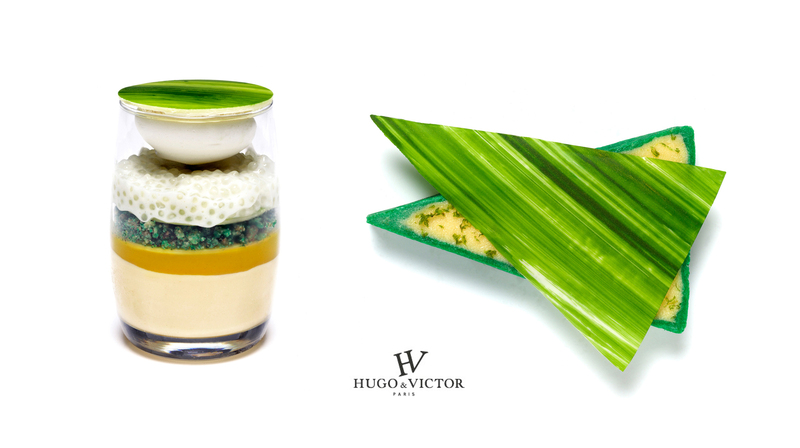 The Combawa Verinne and Combawa Tarte by Hugo et Victor, Paris. For those visiting Paris, The Hugo et Victor Combawa tarte and Combawa Verrine (pictured above) should go immediately on the ‘must eat’ list. 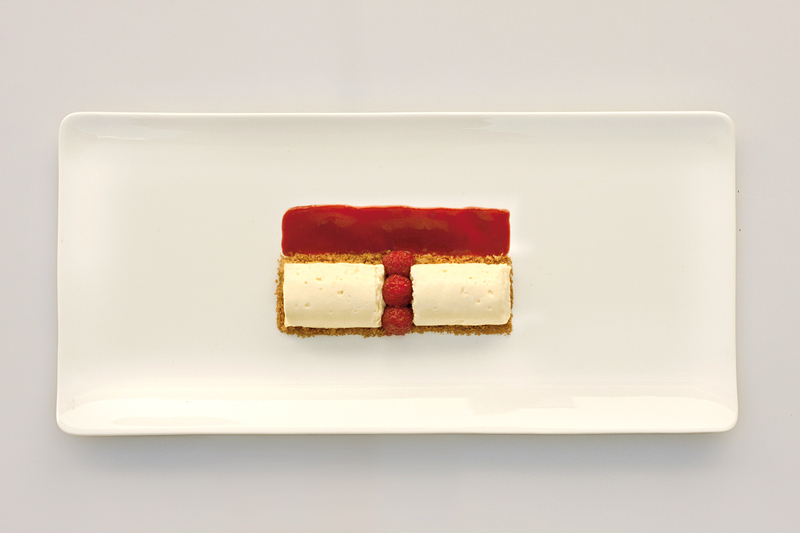 When I asked Hughes Pouget where he gets his flavour pairing inspiration from, he explained that in his time travelling all corners of the world, he picked up many ideas applicable to patisserie which often resurface years down the track . “For two years I travelled all over the word… between Singapore, Shanghai, Tokyo, brazil so the inspiration is my travels- as in life, in my work, it’s important to be very curious”. And so, inspired by this delicious discovery I set out to recreate something delicious that we can all create ourselves, starring this exotic ingredient. Now, of course I love desserts, but creating something sophisticated and refined that would do justice to this ingredient seemed best left to the experts. So I decided to enlist the help of a much more talented cook than myself. 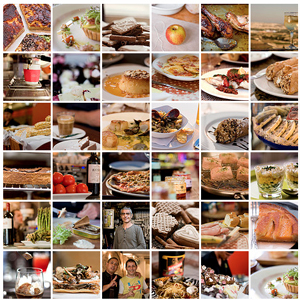 Who better to collaborate with than the illustrious Pierre Cuisine! A well known and very popular French food blogger famous for his ambitious creativity and original culinary creations, (not to mention his well-maintained incognito status), Pierre’s recipes are an interesting contrast to his day job in finance where I imagine his unsuspecting colleagues have no idea what he is capable of in the kitchen after hours! Artichoke pannacotta with almonds, pistachio and pinenuts; Calamari surf and turf with Basque Jambon and spicy broth; Cashew cheesecake with coriander-candied lemon cream and pink radish; Chestnut cream and foie gras amuse bouche… the list of deliciousness goes on! Combawa Custard Mousse on a base of Crêpe Dentelle with Raspberry Balsamic Coulis. 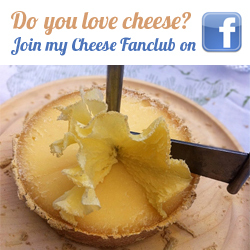 The recipe which can be found in English and French further down the page. Whisk egg yolks with sugar to a creamy white consistency; add the mascarpone and whisk again until the mixture is silky and smooth. 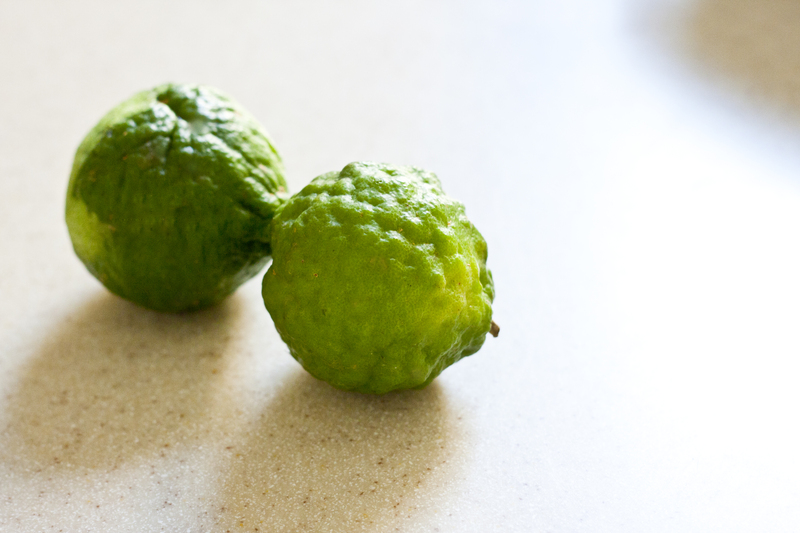 Finely grate the zest of the kaffir lime using a micro-zester and mix again to combine. Beat the egg whites until they form stiff peaks (with a tiny pinch of salt) . Carefully fold the egg whites into the combawa and egg yolk mixture. Prepare and fill a pastry bag with the combawa custard and leave to rest in the fridge for approx 30 mins, allowing the gelatin to thicken the cream. To form the combawa mousse ‘logs’, Pierre creates plastic tubes using clear plastic projection sheets rolled into narrow cylinders and sealed with cello-tape. 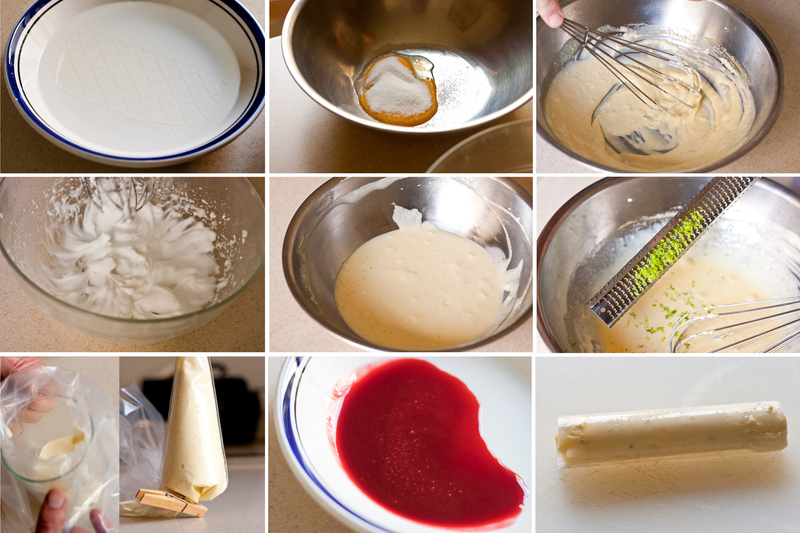 After 30 minutes remove the piping bag from the refrigerator and gently pipe the combawa cream into the individual tubes. Seal the tube ends with cling film and return the tubes to the fridge to finish setting. If you are pressed for time, you can place the tubes in the freezer to set quickly. Place the crepe dentelles (or a substitute sweet caramel-like wafer biscuit) in a sealable zip-lock bag and roll over the bag with a rolling pinner until they are crushed into crumbs. Place the raspberries, vinegar and sugar in a saucepan and cook on low heat for approximately 5 minutes. Remove from heat and strain the coulis through a fine sieve of tea strainer to remove seeds. Set aside and allow the coulis to cool. Once cooled, pour into a plastic-nozzled sauce dispenser and place in fridge for 10 minutes before serving. On the plate carefully arrange a rectangular strip of the crushed crepe dentelle to form the base . Gently release the seals on the plastic cylindrical molds and slowly ‘roll out’ the combawa mousse log, placing it on top of the crushed crepe base . 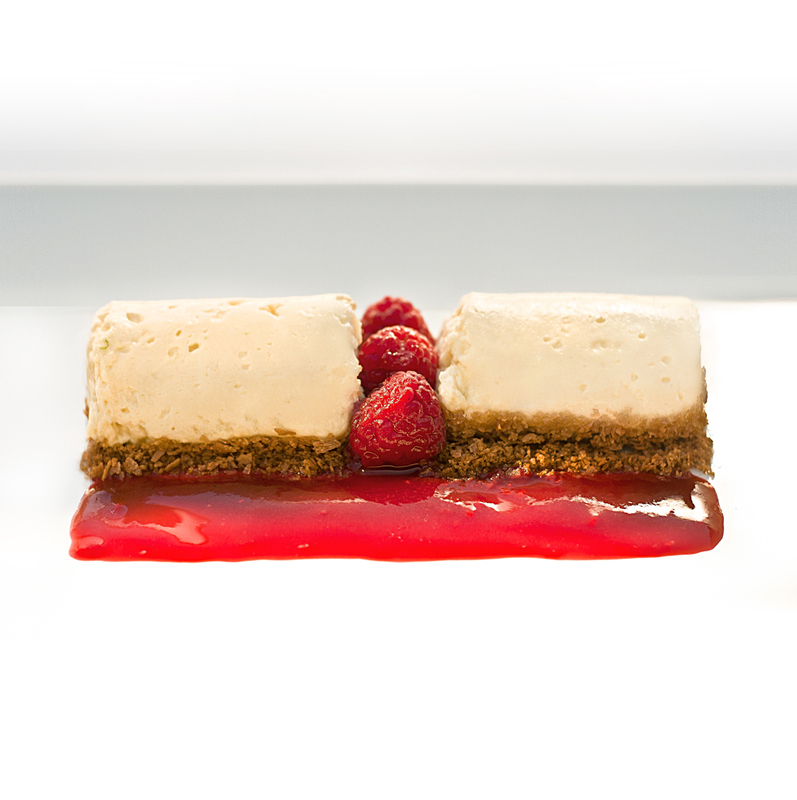 Add the fresh raspberries and draw a line of raspberry coulis lengthways. Serve at a cool temperature. Battez les jaunes avec le sucre jusqu’à ce qu’ils soient blanchis, ajouter la mascarpone et fouetter pour bien mélanger. Râper les zestes de combawas et mélanger à nouveau. Battez les blancs d’oeufs avec une pincee de sel pour obtenir une consistence. Bien battre le mélange au fouet, et incorporer délicatement les blancs d’oeufs battus avec la crème combawa. Remplissez la creme dans une poche à douille et mettez le contenu au lréfrigérateur pour une durée de 30min (le temps que la crème prenne un peu). Faites des tubes avec du rhodoïd ou des feuilles en plastiques de rétro projecteurs. Fermez les tubes d’un cote avec un ruban a adhésif et de l’autre cote avec du film transparent. Après 30 minutes vérifiez si la crème a commencé à se solidifier. Commencer à remplir les tubes de crème. Fermez les bouts des tubes avec du film transparent ; et puis consolider avec du ruban a adhésif. placez le contenu dans le réfrigérateur jusqu’à ce que le désert soit servi. Ecraser les crêpes dentelles (ou tout autre biscuit) dans un sac de congélation avec un rouleau à pâtisserie jusqu’à obtenir une poudre. Dans une casserole, mélanger les framboises avec le vinaigre et le sucre. Cuire le mélange à feu doux jusqu’à ce que les framboises soient cuites (environ 5 minutes). Passez le coulis de framboises au chinois pour se débarrasser des graines. Laissez le coulis se refoidir..
Sur l’assiette de service poser délicatement la poudre de crêpes dentelles en forme rectangulaire. Démoulez la mousse combawa et placez-la sur les miettes de dentelles. 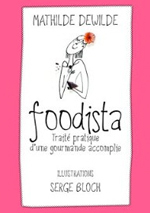 Ajoutez les framboises fraîches tout en dessinant une ligne de coulis.